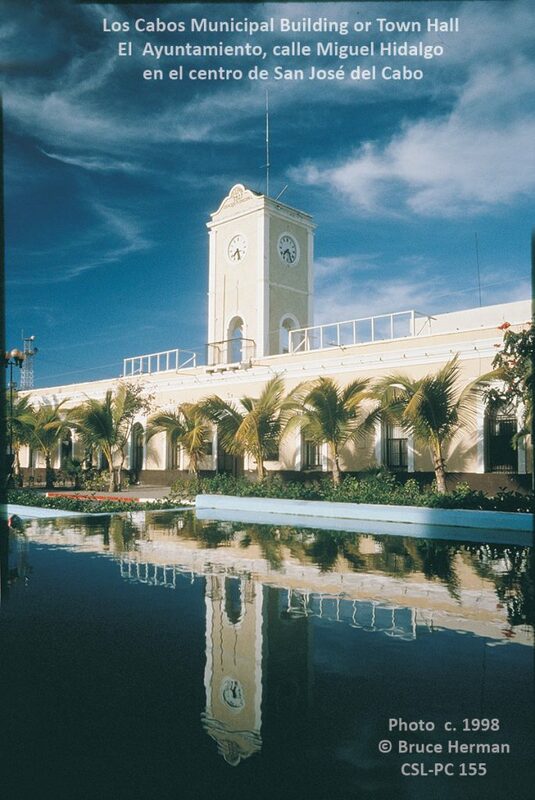 Palacio Municipal San José del Cabo, Miguel Hidalgo and Zaragoza, with the fountains in front. 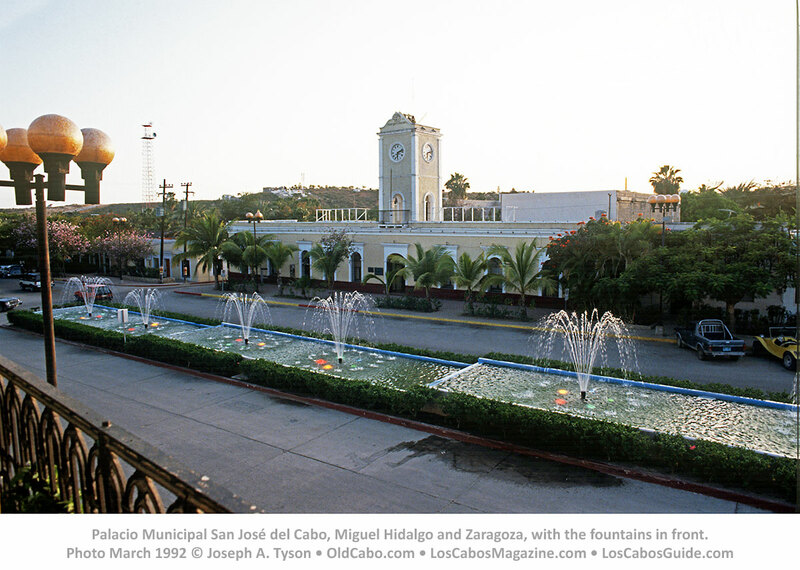 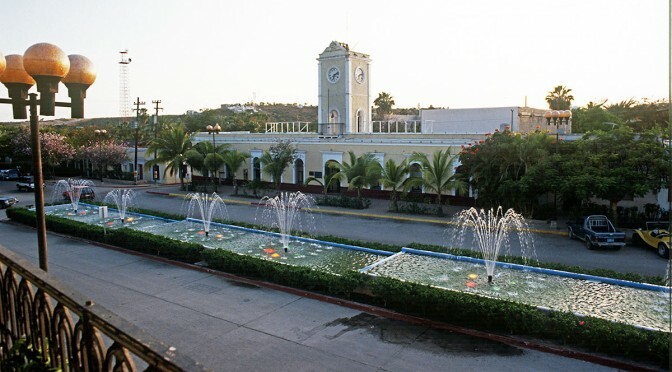 San Jose del Cabo municipal building pre-1995, with the old fountain in the plaza. 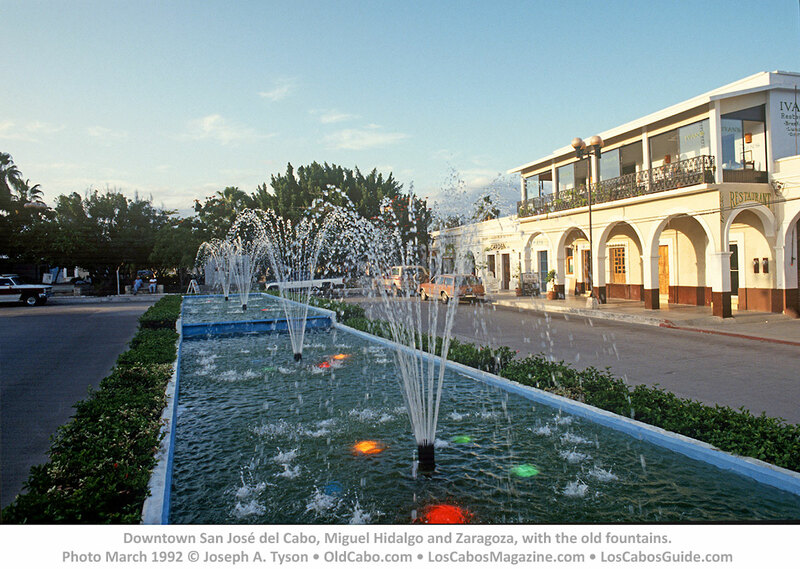 Photo by Bruce Herman, all rights reserved.